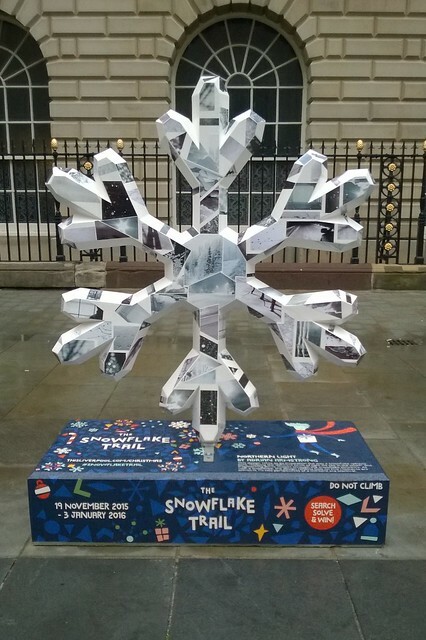 Our Liverpool Snowflake Design "Ice Cubed"
The Snowflake Trail returns to Liverpool in December 2016. Experience Liverpool city centre transformed into a festive spectacle by the Snowflake Trail; the city’s very own winter festival of immersive soundscapes, spectacular light shows, interactive window displays and a trail of sculptural installations from some of the region's most exciting visual artists. Follow along with a festive story that will capture the imagination of young and old alike, and solve the clues for the chance to win incredible prizes. 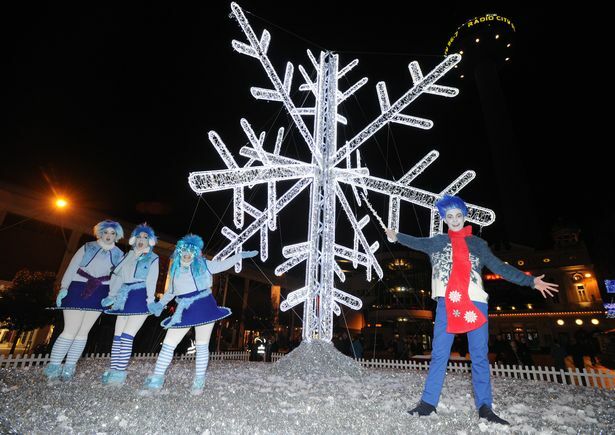 From 1 December – 3 January Liverpool city centre will be transformed into a festive spectacle by the return of the Snowflake Trail; the city’s very own winter festival of spectacular light, sound and sculptures that will capture the imagination of young and old alike. 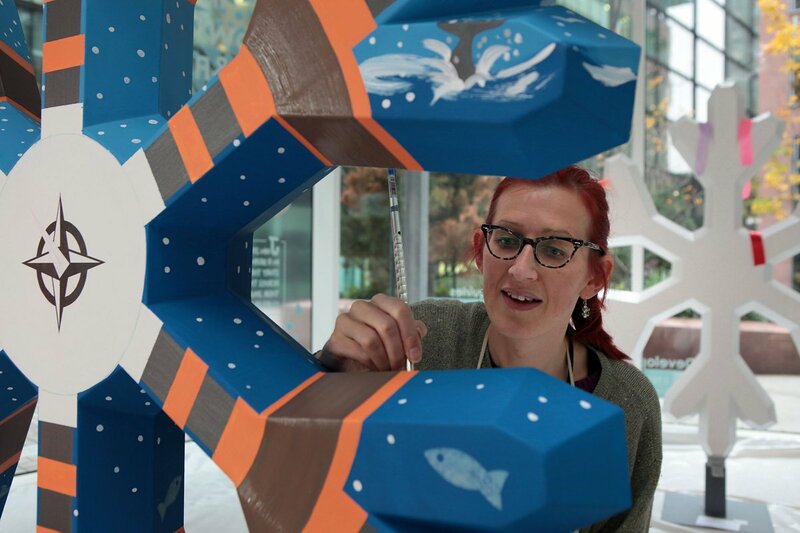 Read the story and follow the trail of local landmarks transformed by dazzling lights, swirling soundscapes, interactive illustrations and see sculptural snowflakes decorated by some of the region’s most exciting visual artists. More than 700 local school children have worked with a local artist to decorate the Church Street Christmas Tree. Each child has designed and decorated their own link in a giant colourful paper chain that will adorn the Church Street Christmas tree for the Snowflake Trail. To take part, pick up a trail map from 1 December at participating retailers around the city centre, and solve the simple clue to win incredible prizes.